If you’ve ever attended a Fleetwood Mac concert, you know that the band always leads off with “The Chain,” a song that represents the strength and resilience of their bond despite more than four decades of personal and professional obstacles. For Christine McVie, who recently rejoined the band after 16 years away, “The Chain” is more than a song. It’s a cherished and symbolic silver chain bracelet given to her by fellow band member Stevie Nicks. Even though Fleetwood Mac enjoyed enormous success, McVie left the band in 1998 after being overwhelmed by a fear of flying. The other band members, including Nicks, Mick Fleetwood, John McVie and Lindsey Buckingham, continued to tour, but the band did not seem complete without Christine McVie. 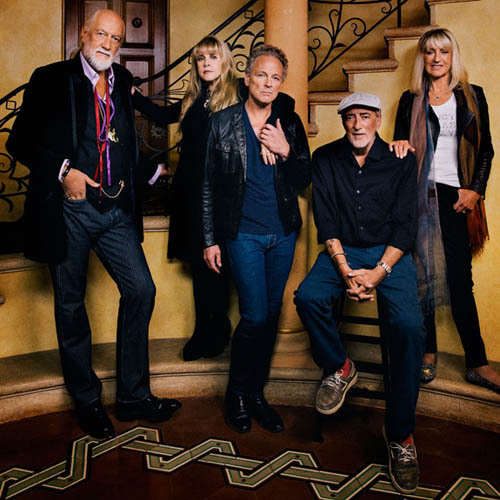 McVie agreed, worked with a psychiatrist to get her past her phobia, and rejoined the band just in time for their 33-city North American tour, which opened in September of 2014. 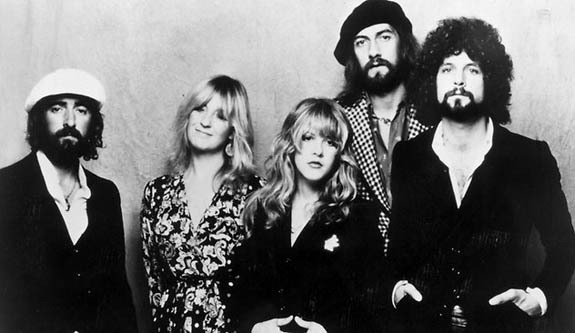 Every Fleetwood Mac concert starts off with the steady, thumping, rhythmic instrumental lead-in to “The Chain,” the only song on the 1977 Rumours album to be credited to all five band members. The song was literally spliced together from combinations of several previously rejected materials. The song originally represented the internal fractures — both romantically and professionally — of the band members, but eventually came to symbolize their triumph in staying together. The Rumours album sold more than 45 million copies and is one of the best selling albums of all time. In total, the band has sold more than 100 million albums worldwide. Please check out the video Fleetwood Mac performing “The Chain.” The lyrics are below if you’d like to sing along. Written by Stevie Nicks, Mick Fleetwood, Christine McVie, John McVie and Lindsey Buckingham. Performed by Fleetwood Mac. Allow us to introduce ourselves. With over 250 years of combined experience, our staff truly understands why you purchase jewelry, and what it means to you. Clodius & Co. is known as Rockford's custom jeweler and more. Why? Because we like to get acquainted with our customers while we help them select or create their jewelry. Whether you're shopping for a lower-priced item or for a custom design, we will always provide you the highest value for that investment. From $29 to "priceless," whatever you spend will be money well spent. At Clodius & Co., we're convinced that authentic relationships are a crucial part of every ideal jewelry purchase. So, we're just going to come right out and say it: We want to get to know you. We consider it a privilege and investment to spend time with you. That way, when you walk out of our doors with new jewelry, it will be your jewelry in every sense of the word.